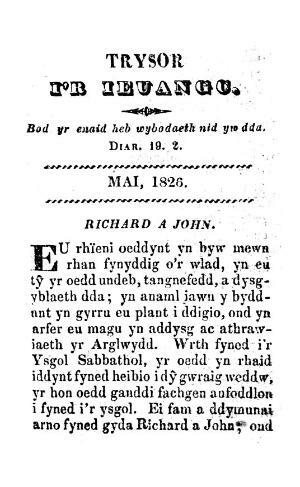 A monthly Welsh language religious periodical intended for the Sunday school children of the Caernarfonshire. The periodical's main contents were religious articles and poetry. The periodical was edited by John Wynne. Associated titles: Trysor i'r Ieuengctid (1826).